PCN Flight West: RC (NWA) Capt. Harry H. Spear Jr.
RC (NWA) Capt. Harry H. Spear Jr.
Military veteran, Pacific/RC (NWA) Capt. 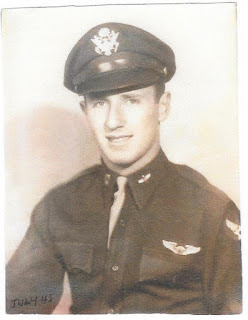 Harry H. Spear Jr.
Belated news with the passing of WWII veteran retired Republic Airlines pilot Captain Harry H. Spear, age 95. The Pacific Airlines roster indicates a hire date of 08-20-1948 for Captain Spear. Should more information be received we will be sure to pass it along. Harry was born in San Francisco and raised in Berkeley, CA. 57th Bombardment Wing, 12th Air Force, in the European Theatre. Southwest Airways, Pacific Airlines, Airwest and Hughes Airwest. As an Air Force Reservist he served as a transport pilot with the Military Airlift Command. and served several years on their Board of Directors. He also worked on committees at the ALPA. Harry’s hobbies were photography and music. and the Professional Photographers of the Greater Bay Area. and played in several banjo bands in and around the San Francisco Bay Area. He and his wife, Dorothy, moved to Palm Desert, CA in 2001. For several years thereafter, they traveled while Harry pursued his hobbies. His health began to decline in 2009 and he died at home on Veterans’ Day 2017.